Ditch single-use plastic sandwich bags and go reusable instead! 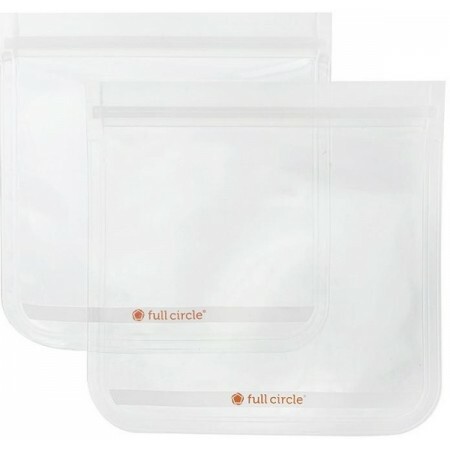 Full Circle's sandwich bags are non toxic, leak proof and freezable, creating less waste in your home. 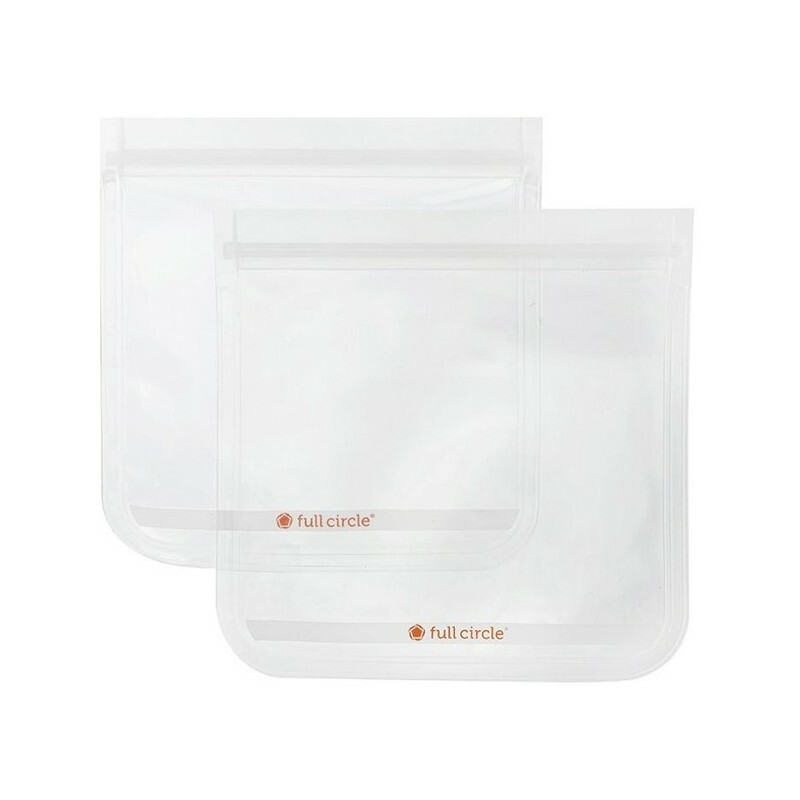 2 clear bags. Using reusable bags instead of plastic sandwich bags keeps unnecessary plastic out of landfill. Buying reusable products, instead of single-use, disposable items, means money in your pocket. BPA free, PVC free, and Phthalate free. Food safe and non toxic. Holds up to 3.5 cups. Leak proof and air tight with double lock seal design. Can be stored flat to save space. Handwash with warm soapy water. Can label and wipe clean with a dry erase marker. Made from reusable FDA-Grade EVA material. 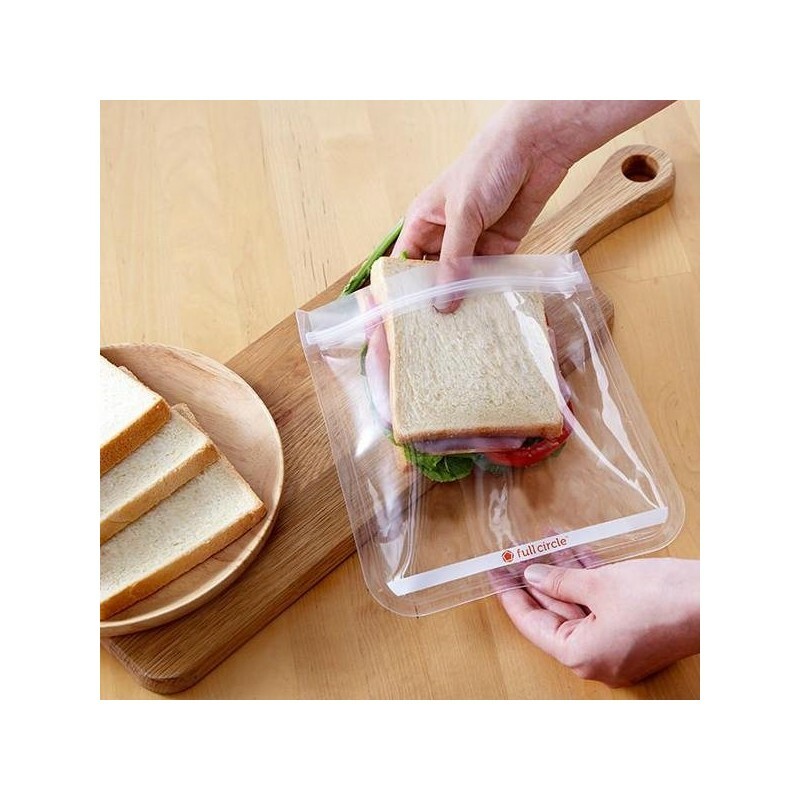 Set of 2 Flat Sandwich Bags (20x20cm, 830ml). 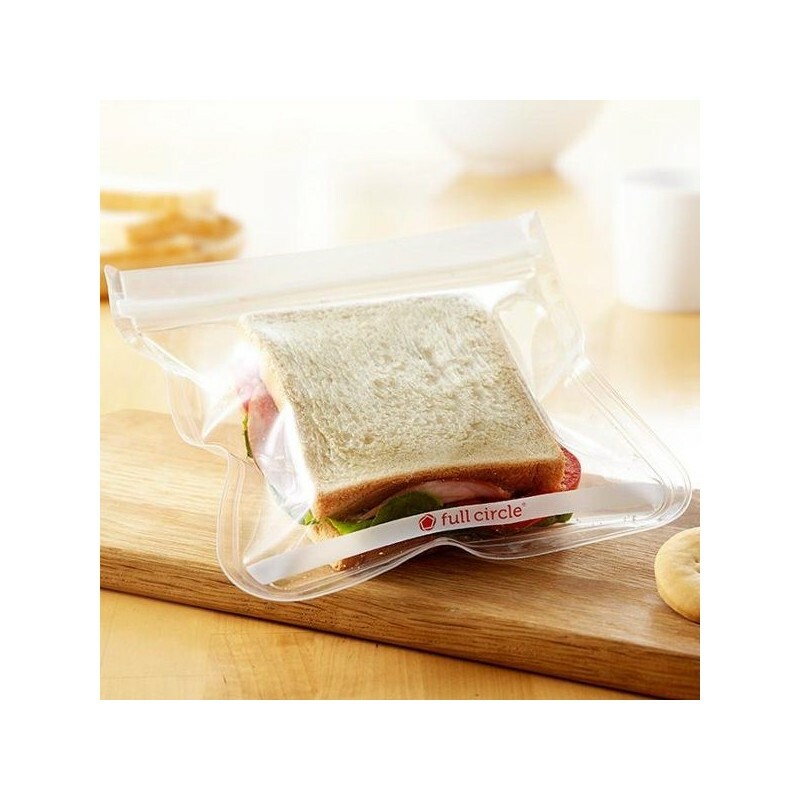 Browse our other sandwich wraps and pouches. Such useful bags and very high quality plastic that I’m sure will last for many months.. and hopefully years.. I was really excited to receive these to replace store bought zip lock bags, but unfortunately no matter how tightly I seal them they always are full of air when I return half an hour later, and iv been trying to work with them for months now. Im not sure if I received faulty ones or they just aren't airtight but I was unfortunately pretty disappointed. Has an amazing feel to them, super easy to clean even if messy. Definitely worth it, I'm buying more! !